When I enter my child's room each morning, I experience a genuine moment of panic. 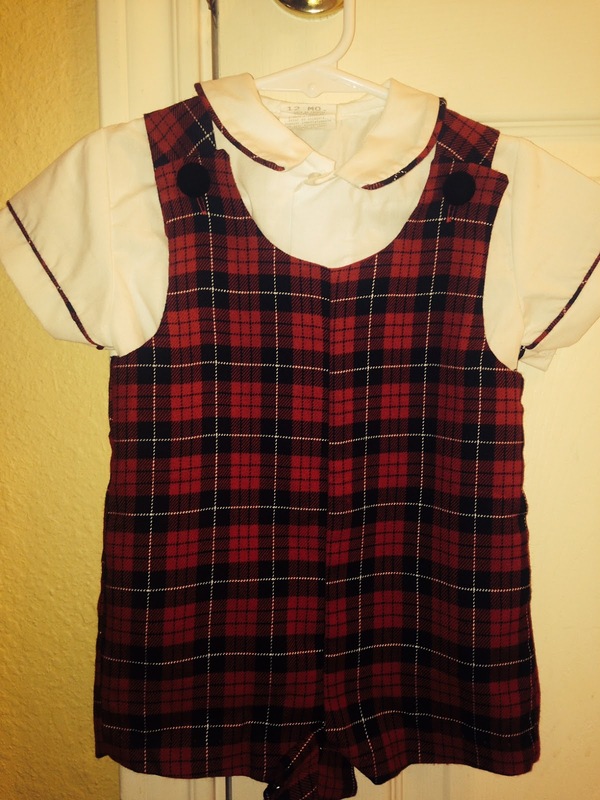 What will she wear to daycare this morning? She is in the frilly, pink, pretty princess stage and I struggle with the daily phrase, "Mommy - I do not want to wear this, I want to wear my princess dress". Well, this mom is completely out of frilly, pink, pretty princess dresses because we are in need of a larger dress size for my little one. 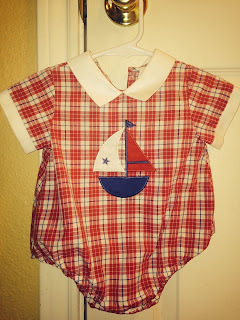 Perhaps, I should select clothing that is more durable for the daily spills and toddler-friendly, but sometimes I just like to make my little one's day. That is why we are headed to the Just Between Friends sale in Fort Worth, Texas for their annual sale. This sale is located at the Will Rogers Memorial Center Exhibit Hall (3400 West Lancaster in Fort Worth). 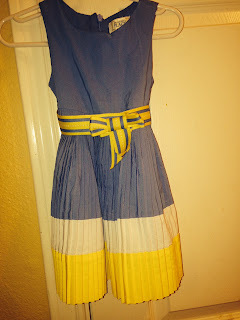 This is the BEST consignment sale I have ever experienced...seriously! 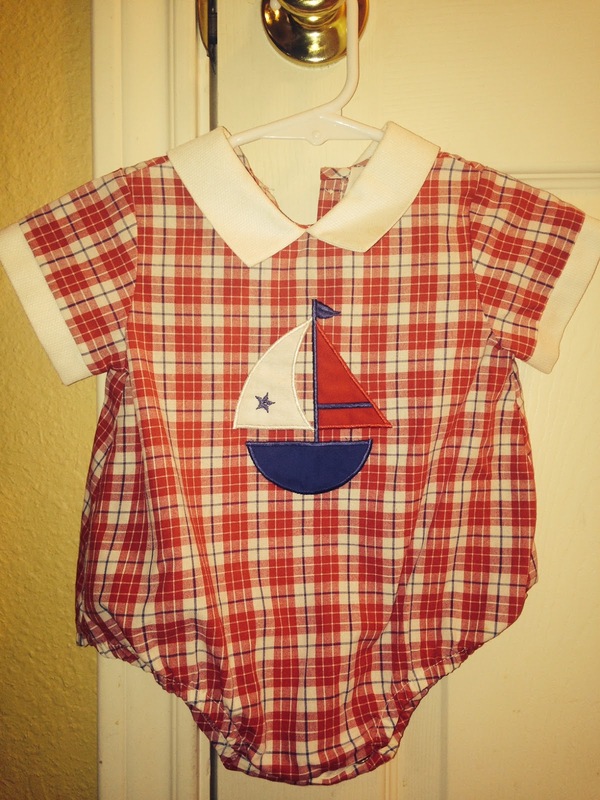 It features almost every item that you have ever wanted to purchase for your children. 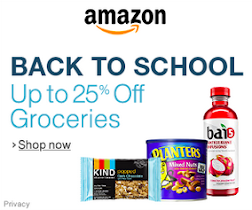 This includes: clothing, toys, rugs, furniture, books, Halloween costumes, etc. I've attended the fall and spring sales each year I've been a mom (yes, this even includes the pregnancy months). The Fort Worth Just Between Friends sales enables me (and other moms) to save time, money, and sanity throughout the year by preparing us with climate and activity appropriate clothing for our children. 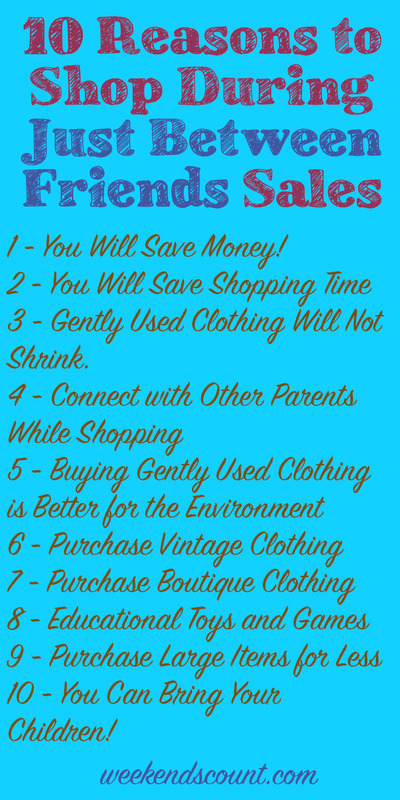 Here are the "Top 10 Reasons to Shop During Just Between Friends Sales" - especially Just Between Friends sale in Fort Worth, Texas! I serve in several local moms groups on Facebook and each of the moms in the group look forward to the Just Between Friends sale because this seasonal event helps families survive cold and warm weather without breaking the bank. 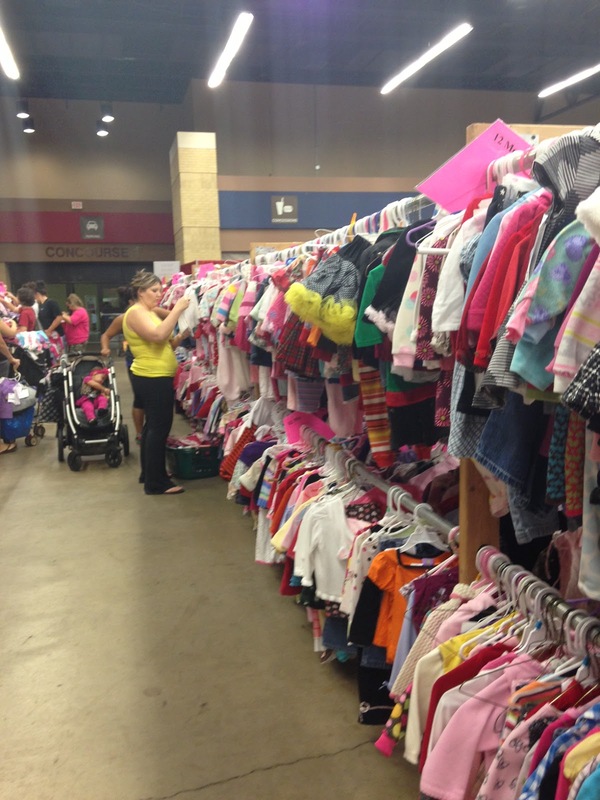 In addition, the Just Between Friends sale in Fort Worth helps families in the surrounding cities as well. These family want to dress their children in quality clothing, but they also want to select several clothing items at one time (for the entire family). 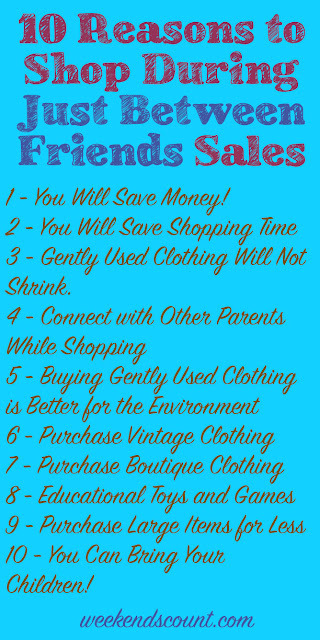 Our family always find amazing clothing deals at Just Between Friends and we like the fact that the clothing is almost guaranteed not to shrink (because it has been worn before)! 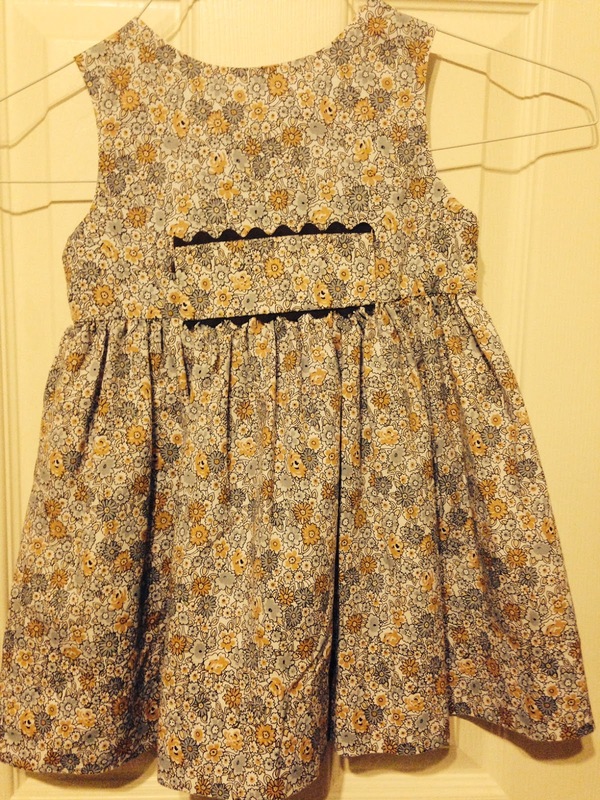 The consignment sale approach also enables families to continue to live green and teach their children about the importance of recycling (clothing counts too). 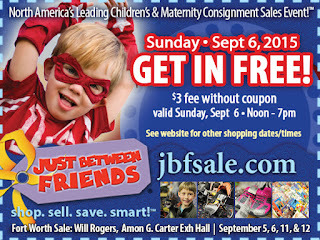 JBF Fort Worth usually has family activities on the last day of the sale! 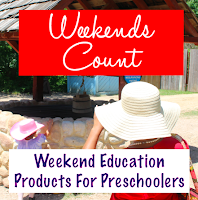 During this time of year, we strive to make every weekend, every evening, and every step in our morning routine count for our preschooler (and for ourselves as well). From September 5th, 6th, 11th, and 12th, we plan to make our weekends count by making several trips to the Just Between Friends Fort Worth Fall/Winter Sale. 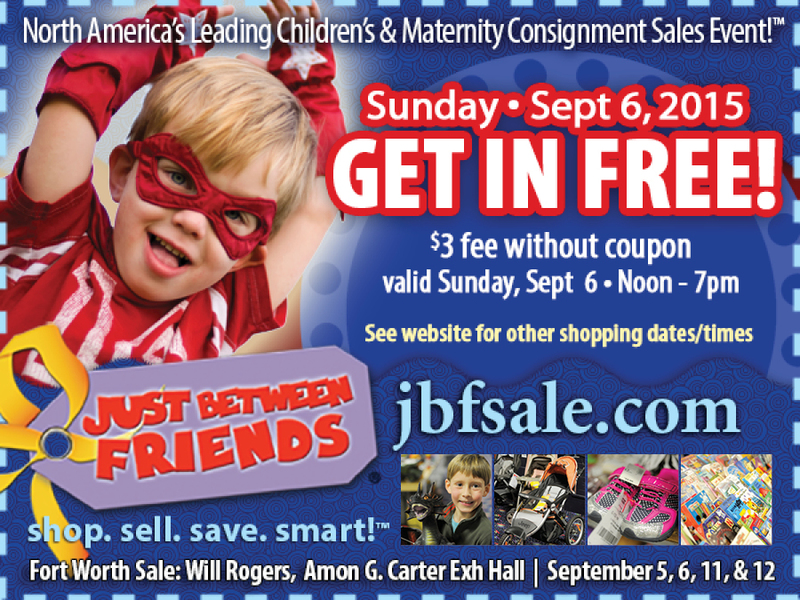 You can make your time with your family count while planning for the upcoming fall/winter season by simply shopping at the Just Between Friends Fort Worth Fall/Winter Sale as well! *Check their website to confirm the time and dates below. - 9 am to 1 pm - Premium Shopping - $15/person admission. Under 18 FREE. BONUS!!! One Early Bird 1/2 Price Sale Pass will be issued for every paid $15 admission! Early Bird 1/2 Price Shopping is on Saturday, 9/12/15, from 8 am to 9 am.- 1 pm to 3 pm - $10/person admission. Under 18 FREE.- 3 pm to 8 pm - $5/person admission. Under 18 FREE. Sunday, 9/6/15- Noon to 7 pm - $3/person admission. 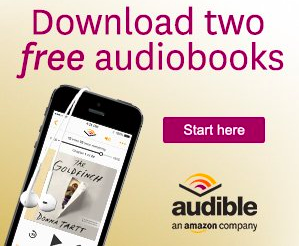 Under 18 FREE.THE SALE IS COMPLETELY CLOSED 9/7-9/10/15. NEW MERCHANDISE ARRIVES THE NIGHT OF 9/6/15!!! 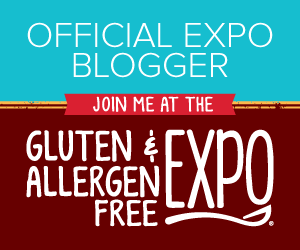 In fact, if you shop on Sunday, September 6th, you can GET IN FREE!